What is this? Can you guess? 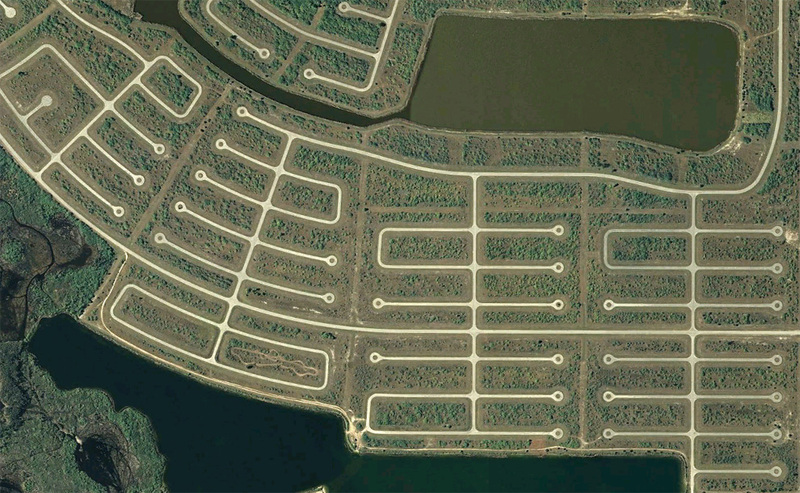 It's empty cul-de-sacs in an area south of Rotonda West in Charlotte County, Florida. Isn't it gorgeous? It's like the Nazca Lines. This photograph is just part of series from the Boston Globe on photographs documenting the aftermath of the housing bubble. Check out Detroit. More links from Paul Reyes. Reminds me of an old-style printed circuit board before the components went on. I agree, it is gorgeous. Perceptive shot.